With herd sizes ranging from 50 to 1,800 cows, these National Dairy Quality Award winners prove that every herd, regardless of size, can achieve impeccable milk quality. The 2018 National Dairy Quality Award Platinum winners represent an exemplary group of dairy producers. Not only do these herds produce some of the nation’s highest-quality milk on a daily basis, these farms incorporate the many recommended science-based practices that lead to positive outcomes. Those habits include written procedures, wearing gloves each and every milking, routinely reviewing individual somatic cell count data on cows, and using a California Mastitis Test on any suspect cows. In addition, to these steps, milking routines, milk culturing, and herd health measures also ensure the likelihood of producing the highest quality milk. Nominators submitted applications from 165 farms this year. From that group, the judges made the first screening based on milk quality benchmarks. Of those, 54 herds merited further analysis by a team of judges through a comprehensive review of measures to ensure milk quality based on the latest peer-reviewed science. After judging, final applications were designated as Silver, Gold, or Platinum winners. The previous page lists all of this year’s winners along with their nominators. Hoard’s Dairyman is honored to co-sponsor the National Dairy Quality Awards with the National Mastitis Council. The program is possible thanks to sponsorship from Boehringer Ingelheim, Acumen Detection, Ecolab, GEA, IBA, and QualiTru Sampling Systems. Cottonwood Dairy stands in a unique category — “The 100-100 Club.” While there is no official 100-100 Club, the 100-100 benchmark stands for 100 pounds of milk shipped per cow with a 100,000 or less somatic cell count. Cottonwood has reached that milestone several times throughout the year. 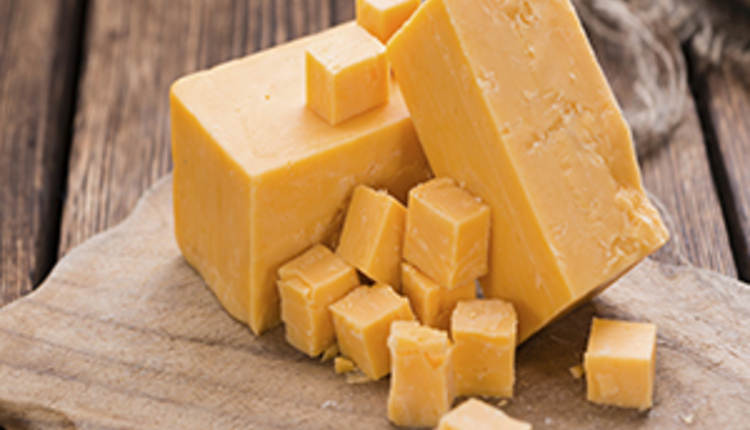 “They are very consistent in cell count and have been the lowest cell count at Grande Cheese a number of different months throughout the year,” said nominator Randall Hardyman, with Grande Cheese. Cottonwood Dairy of South Wayne, Wis., is owned by Brian and Randy Larson, along with Jim Winn. Shown above are key farm team members who work with the Cottonwood herd on a daily basis. Cottonwood Dairy: We strip out foremilk andthen use a teat scrubber to clean, sanitize, and dry the teats. Next, we attach the milking units and postdip after the units are removed. Mil-View Jerseys: First, we brush off any loose dirt. Then we predip, dry the teats with individual paper towels, strip out foremilk, attach milking units, and postdip after milking. RKB Dairy: We clean off the sand from the udder. Then, we strip out the foremilk, predip, dry the teats with microfiber washable towels, attach the milking unit, and postdip. Rock Solid Dairy: We start by cleaning dirt (debris) from the teats, predip, clean teats, strip, and redip five cows at a time. Then we clean teats with cloth towels with teat ends being a major focus. Next, we attach the milking unit and postdip after removing the unit. United Dreams Dairy: Our first step is to dry wipe the teats with a cloth towel. Next, we forestrip, predip, and dry the teats with individual cloth towels. Next, we attach the milking unit and postdip. UW-Marshfield: We strip out foremilk, predip, dry teats with a clean cloth, attach the milking unit, and postdip. Cottonwood Dairy: We use teat scrubbers, and they do an exceptional job on teat ends. We postdip and also conduct teat end scoring twice each year. 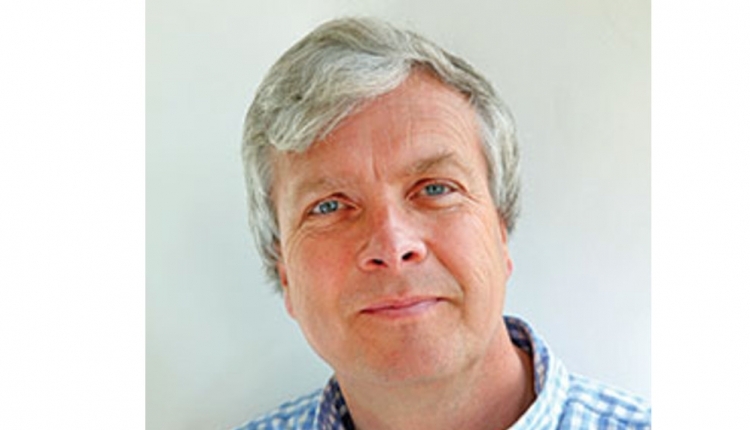 We keep vacuum levels according to Grande Cheese’s milk quality veterinarian Andy Johnson’s recommendations. We use a good quality liner, and they are changed every 14 days. Mil-View Jerseys: Our emphasis is on clean and dry teats. 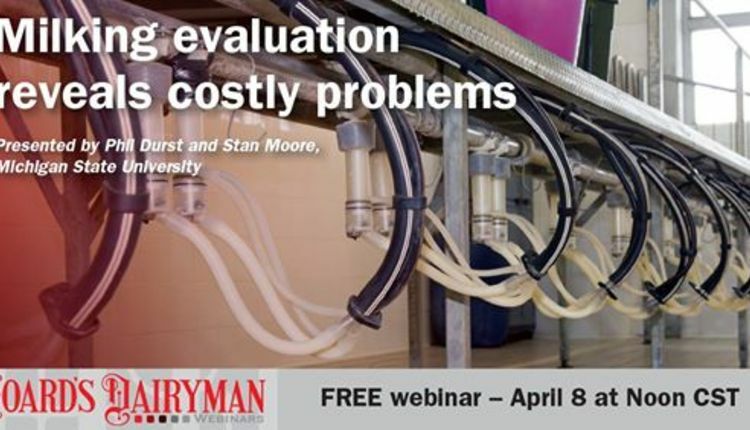 We monitor the vacuum level, prevent overmilking, and pre- and postdip. We also do an annual system check. RKB Dairy: We don’t overmilk, and inflations are changed on schedule. We quickly correct any liner slips. We use teat dip that is suitable to the weather conditions — iodine-based barrier dip for nonfreezing weather, cold weather dip for freezing temperatures, and dry dip when it is extremely cold. Rock Solid Dairy: We use good teat end prep, maintain the milking system with a focus on vacuum fluctuation, postdip, have automatic takeoffs, and keep a well-maintained bedded area. 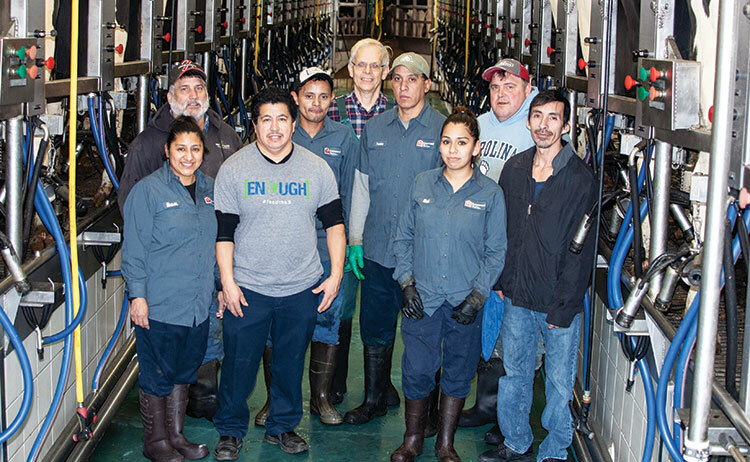 United Dreams Dairy: Keeping a consistent prep protocol and properly maintained equipment is important. We made a huge improvement in teat end health when we switched to three-sided milking inflations, which has been a major contributor to our success in maintaining a low somatic cell count. UW-Marshfield: We set the threshold for automatic takeoff (ATO) flow rate/removal and evaluate routinely to prevent hyperkeratosis. We change the liners routinely and use cold weather dip containing emollient and 1 percent disinfectant. We strategically cull for poor udder or teat conformation and unusually slow milkers. Earning their fifth Platinum National Dairy Quality Award, tied for second-most all-time, was RKB Dairy of Faribault, Minn. The Holstein and Jersey herd is managed by Randy (shown right) and Kathy Bauer, along with their son, Glen (shown left). “Producing top-quality milk is a priority. You just know it by spending any amount of time on the Bauer Dairy,” said co-nominator Brandon Balzer with IBA. “They truly care and back it up with carefully chosen products, well-thought-out protocols, and attention to the smallest details.” During the past year, somatic cell counts ranged from 62,000 to 76,000 cells per milliliter. “RKB does an outstanding job regardless of weather conditions, milk prices, or whoever is milking the cows,” added co-nominator Peter Gieseke with Agropur. How do you keep cows comfortable? Cottonwood Dairy: We use recycled sand and add sand to stalls twice a week. We scrape the alleys into a flush flume and rake the stalls three times a day. We culture the sand for microbes a couple times a year. We use automatic water sprinklers and fans that are located over the stalls every 24 or 36 feet with natural ventilation. For our special needs animals, we have a tunnel-ventilated barn. Flaming udders to remove long hair is also part of our routine, as is keeping tails trimmed and neat. Mil-View Jerseys: We allow our cows to be on pasture as long as the weather conditions permit. We have a curtained, high-roof barn with 50 freestalls. Sand bedding is raked and alleys arescraped twice a day. Sand is refreshed every two weeks or as needed. RKB Dairy: The sand-bedded stalls are groomed twice a day. Manure and soiled sand is cleaned out frequently, with sand being added as needed. Alleys are scraped twice a day. The sand stalls are dug up when needed to prevent compaction. Curtains are adjusted as needed, fans are on thermostats, sprinklers are on a thermostat and timer during warm weather, and cows are sprayed for flies when leaving the parlor during summer. Dry cows are in loose housing and bedded with cornstalks in an open-front shed with an outside lot. The principle bedding is cornstalks, and this barn is frequently cleaned. Panels are removed from the back of the shed during the summer months and fans run to keep cows comfortable. Flies are controlled with ClariFly in the feed. Rock Solid Dairy: The milking cows are in a freestall barn with mattresses that are bedded with sawdust three times a week. Stalls are cleaned three times a day, and alleys are scraped three times a day. We have curtains on the side walls and fans every 30 feet. Misters are placed at the feedbunk during the summer when needed. Freestalls for the dry cows are bedded with sawdust weekly, and alleys are cleaned routinely. United Dreams Dairy: Cows are housed in freestall barns. One barn is a six-row, naturally ventilated barn with fans over sand bedding and some mattresses/sawdust-bedded cow beds. This barn also has sprinklers. The second barn is a 10-row, cross-ventilated, sand-bedded freestall barn. Manure is scraped into a cross auger every milking with a skid steer equipped with a rubber tire scraper. Stalls are maintained every milking, sawdust is added two times a week, and sand is added once per week to sand stalls. Bedding is added more often if needed. Dry cows are housed in naturally ventilated, sand-bedded freestall barns with fans over the stalls. The barns are scraped once per day with a rubber tire scraper. UW-Marshfield: Stalls are bedded with new sand twice a week. Stalls are groomed daily with a mechanical sand rake, while stalls are hand groomed twice daily during milkings or more as necessary. Twice a year, the back one-third of soiled bedding in stalls is removed and replaced. Scrape alleys are cleaned three times a day. Tail switches are trimmed 1 inch below the last tail vertebrae for hygiene. Each pen contains one Lely cow brush that help keep cattle clean and offer enrichment. Close-up cows and springing heifers are introduced to the calving barn 14 days before their projected calving date. They are bedded daily withclean wheat straw. Manure is manually removed from calving pens daily. The UW-Marshfield research farm at times houses very few dry cows. Most dry cows in the UW-Marshfield system are transported to the UW-Emmons Blaine Dairy Research facility in Arlington, Wis., and spend their entire dry period at that facility. Impeccable and pristine — those are two words that describe Rock Solid Dairy of Shippensburg, Pa. 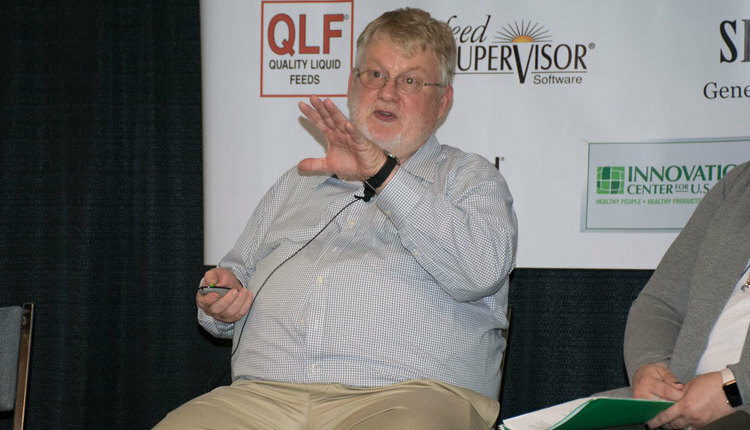 Owned by Zane and Juanita Garber, the 360-cow Holstein herd had somatic cell counts that were amazingly consistent, ranging from 52,000 to 66,000 on all milk shipments in the most recent year. “This is a superior dairy from the standpoint of quality, herd health, farm conditions, and overall treatment of their dairy herd,” said nominator Scott Staub of Dairy Farmers of America. While this is Rock Solid’s Dairy first trip to the NDQA Platinum winner’s circle, Dairy Farmers of America have honored this herd with milk quality awards in consecutive years from 2014 to 2018. Shown above are (L to R): Nathan, Micah, Zane, and Juanita Garber, and herdsman Harlan High. Cottonwood Dairy: We detect subclinical mastitis through Dairy Herd Information (DHI)records and milk cultures. Mil-View Jerseys: We detect with DHI and the California Mastitis Test (CMT). RKB Dairy: We closely monitor DHIA somatic cell count (SCC) reports and run a CMT on suspicious quarters and cows. Rock Solid Dairy: We utilize the CMT and watch for elevated SCC. United Dreams Dairy: It is usually diagnosed by an elevated cell count result or by performing a CMT test. UW-Marshfield: We individually test for SCC on suspect cows; CMT testing and monitor DHI tests for a SCC of 200,000 cells per milliliter or more. Cottonwood Dairy: We detect clinical mastitis with forestripping, looking at the udders, and taking temperatures. 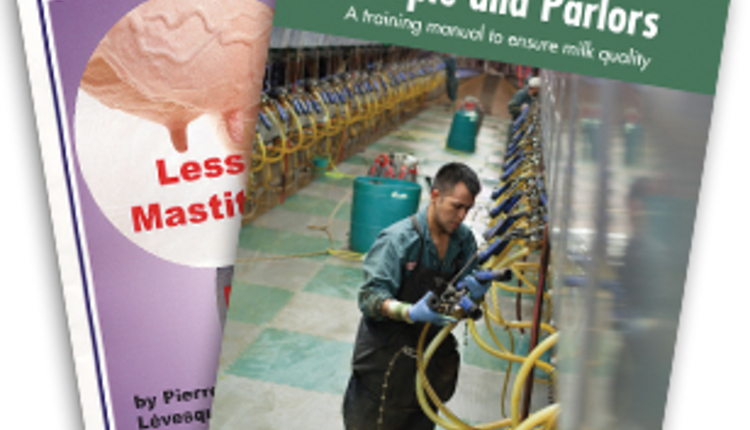 Mil-View Jerseys: We use observation and forestripping to detect clinical mastitis. RKB Dairy: We carefully watch the strip cup and forestripped milk, follow up with the CMT, and watch/feel the udder during milking. Rock Solid Dairy: We strip and observe the color of the milk. We also use the CMT. United Dreams Dairy: We detect clinical mastitis by prestripping. UW-Marshfield: We visually examine fore-stripped milk during milking prep, quarter abnormalities (swollen, hard, hot), abnormal-looking milk, and systemic sickness to the cow. United Dreams Dairy maintained their excellent milk quality even during an expansion this past year when they doubled the herd size. “It takes a special farm to achieve this,” said nominator Bill Mueller of Grande Cheese. Since 2001, the North Freedom, Wis., dairy has averaged 92,000 SCC. This past year, the somatic cell count was 72,000. United Dreams Dairy got its start back in 1997 when two young neighbors and their wives decided to build a new dairy together. To this day Rick and Ronda Lehman (shown left) and Lisa and Tim Evert (shown right) are partners in the dairy. Recently, Rick and Ronda’s nephew, Michael Niemann (shown in black coat), and Lisa and Tim’s son, Jeff Evert (shown in the red coat), joined the family business. The farm was one of the first in Wisconsin to direct ship their milk in tanker trucks. Cottonwood Dairy: We use our DHIA records. Our milking routine helps us detect abnormal milk by forestripping. We also use the CMT paddle. If a cow is showing clinical signs, we will treat. Cows are kept in a special needs barn 30 days after calving for special attention. 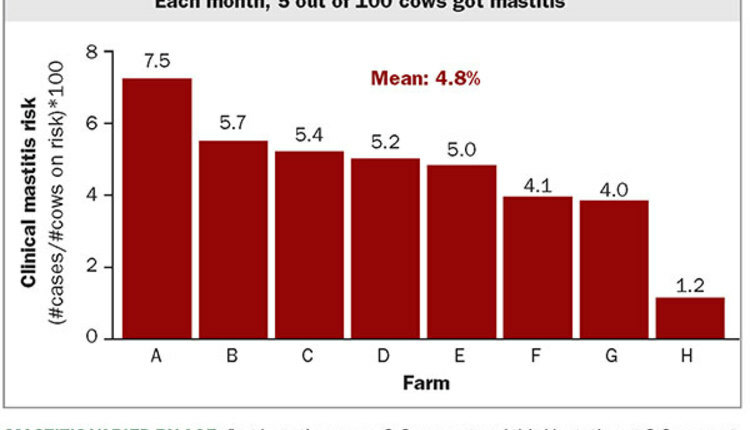 Mil-View Jerseys: We run a California Mastitis Test (CMT) on all cows after calving to detect mastitis. They must pass the CMT before milk is put in the tank. All newborn calves are removed prior to nursing. 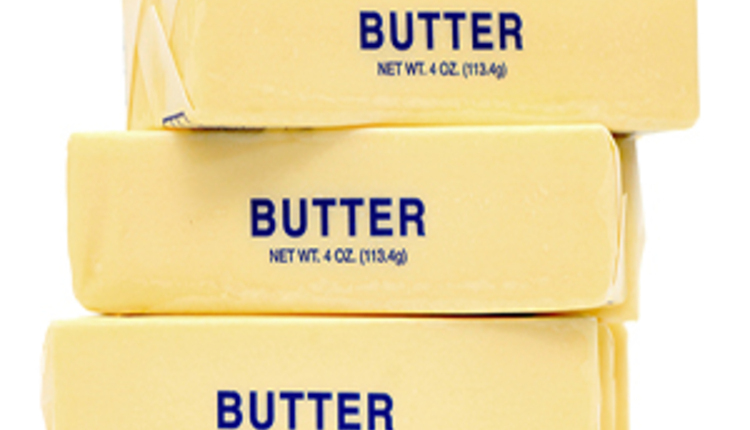 We also use Superior Cow Cream to minimize edema and improve circulation. RKB Dairy: Fresh cows are kept in the special needs pen, marked with duct tape, and milked at the end of milking. The strip cup is closely monitored, and they are checked with the CMT. They are treated if they show signs of mastitis. Their milk is withheld per dry cow treatment labels. Rock Solid Dairy: We CMT all cows. Positive CMT quarters are cultured and treated accordingly. United Dreams Dairy: We will culture any cow that shows visual signs of mastitis or any heifer that has a cell count over 350,000 cells per milliliter on the first DHIA test. We want to keep cows clean and comfortable. UW-Marshfield: Cows are stripped before each milking to detect the presence of abnormal milk. Newly calved cows are milked offline for three milkings to ensure colostrum has cleared all quarters. Beginning around 10 to 12 days postfresh, the CMT helps to screen fresh cows for mastitis. Positive CMT quarters are sampled and cultured. When calving a dry cow into her next lactation, her milk is tested for presence of antibiotic residue at 96 hours postcalving. 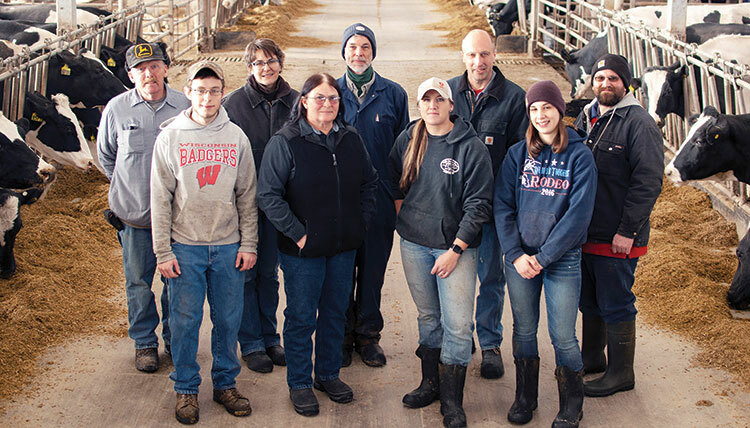 With an incredible focus toward ongoing milker training and cleanliness, the University of Wisconsin Marshfield Agricultural Research Station earned Platinum honors for the second time in the NDQA contest. The constant milker training is a must for a herd that has perhaps one of the most diverse milking crews in the country, as the farm provides opportunities for students with little or no background in milking cows. Even with that potential limitation, somatic cell counts are held in a low window, ranging from 53,000 to 63,000 in the past year. Shown above are (L to R): Dennis Frank, Doug Bolen, Nancy Esser, Emmy Sutton, Greg Swart, Kari Landwehr, Will Cordes, Makayla Weigel, and Pete Sutton. Missing from the photo were: Paul Abel, Russ Draeger, Amanda Gehrke, Brian Kruger, Lexi Ossmann, Grace Tester, and Wes Weichelt. Cottonwood Dairy: All cows are dried off with Tomorrow (cephapirin) or Spectramast DC (ceftiofur hydrochloride). Plus, we use BoviBlock for sealing the teats intramammary. Then each cow is dipped with T-Hexx to seal the outside of the teats. All dry cows are kept in a separate pen. Mil-View Jerseys: The cow is milked, moved to dry cow feed, skips two milkings, and then is milked. Cows are dry treated with Spectramast DC (ceftiofur hydrochloride) and Orbeseal. 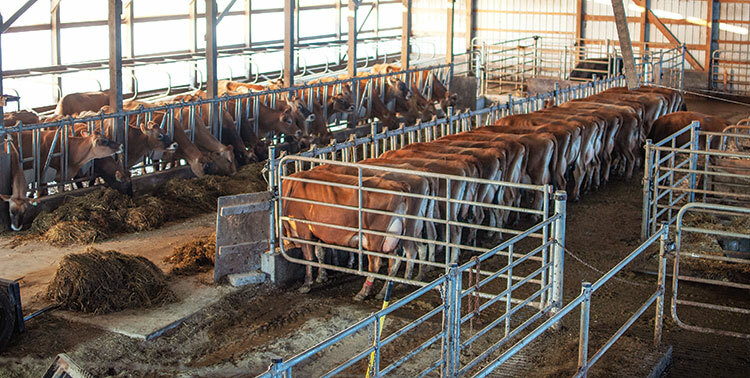 Cows are then separated into a dry pen immediately; they have sand-bedded freestalls with pasture access almost year round. RKB Dairy: Cows are dried up abruptly — we do not skip a milking. Following their final milking, the cow’s rear legs are marked with red livestock chalk. The teat is wiped with an alcohol pad, intramammary infusion with a Tomorrow tube (cephapirin), slowly infuse an Orbeseal teat sealant tube, dip with T-Hexx, and repeat on the other quarters. The cow is immediately moved to the dry cow pen, and the treatment is written down. Rock Solid Dairy: Our routine dry treatment is Tomorrow (cephapirin), followed by an Orbeseal application, and then J5 vaccination. A SCC higher than 200,000 will be cultured for further action. United Dreams Dairy: We dry-off cows on the same day every week. We do practice selective dry cow therapy. Cows that are treated with intramammary mastitis tubes are given Tomorrow (cepharine benzine). All cows are given Orbeseal after treatment. Low cell count cows are only given Orbeseal. UW-Marshfield: Cows are dried off at approximately 220 days carried calf (DCC). Cows nearing dry-off are placed on a lower-quality ration to reduce milk flow. Cows are dried off during the morning milking (the same crew always completes the dry cow protocol). Quartermaster (procaine penicillin G) is used for dry cow treatment; Orbeseal is used for internal teat sealant; and all intramammary infusions are done using the partial insertion method. Teat disinfection is done in a far-to-near manner, and infusions are done in a near-to-far approach. Cottonwood Dairy: We use Spectramast LC (ceftiofur hydrochloride), intramammary, for two to five days, once a day. Milk is withheld according to label instructions. Mil-View Jerseys: We use Today (cephapirin sodium), intramammary, every 12 hours for one day. Milk is withheld for 96 hours. We also use Pirsue (pirlimycin hydrochloride), intramammary, for up to three days, once a day. Milk is then withheld for 36 hours. RKB Dairy: We use Spectramast LC (ceftiofur hydrochloride), intramammary, for three to five days, once a day. Milk is withheld for 72 hours. In other cases, we use Pirsue (pirlimycin hydrochloride) intramammary, three to five days, once a day. Milk is withheld for 36 hours. Rock Solid Dairy: We use Pirsue (pirlimycin hydrochloride), intramammary, once a day for three days. Milk is withheld 36 hours. United Dreams Dairy: Mild cases are treated with Polymast (hetacillin potassium), intramammary, for three days, once a day. Milk is withheld for 72 hours. UW-Marshfield: We use Spectramast LC (ceftiofur hydrochloride), intramammary, for five days, once a day. Milk is held for 72 hours. We also use Excenel RTU (ceftiofur hydrochloride), intramuscular, once a day. Cottonwood Dairy: We use Spectramast LC (ceftiofur hydrochloride), intramammary, for five days, once a day. Milk is withheld according to label instructions. Mil-View Jerseys: The same protocol as for mild cases, except we will also use Spectramast LC (ceftiofur hydrochloride), intramammary, once a day for up to three days. Milk is withheld for 72 hours. RKB Dairy: Same protocol as mild cases, except treatment is done for five days. Rock Solid Dairy: For moderate cases, we use Spectramast LC (ceftiofur hydrochloride), intramammary, for five days, once a day. Milk is withheld for 72 hours. United Dreams Dairy: We use Spectramast LC (ceftiofur hydrochloride), intramammary, once a day for three to five days. Milk is withheld for 72 hours. UW-Marshfield: Same protocol as for mild cases, except we may also use Banamine (flunixin meglumine) intravenously (IV) if there is a fever. This is done for two days, once a day. Milk is withheld for 36 hours. Cottonwood Dairy: With severe cases, we administer tetracycline, Banamine (flunixin meglumine), and oxytocin via IV. We also strip the quarter and administer Spectramast LC (ceftiofur hydrochloride). Mil-View Jerseys: For severe cases, we will call the veterinarian. RKB Dairy: In severe cases we use Pirsue (pirlimcycin hydrochloride), intramammary, once a day for three days. Milk is withheld for 36 hours. We also use Naxcel (ceftiofur sodium), intramuscular, for five days, once a day, and milk does not need to be withheld. Another option is Banamine (flunixin meglumine) through an IV for two days, once a day. Milk is withheld for 36 hours. Rock Solid Dairy: Cows are milked that same milking after administering intravenous oxytocin. The cows are given Spectramast LC (ceftiofur hydrochloride), intramammary, for five days, once a day. Additionally, the cows with severe cases have temperatures routinely checked, along with an IV of Banamine (flunixin meglumine), tetracycline, hypertonic saline, and calcium. Milk is withheld according to label specifications and until tested free from antibiotics. United Dreams Dairy: We use Spectramast LC (ceftiofur hydrochloride), intramammary, for five days, once a day. We also give Oxytetracycline through an IV for two days. Milk is withheld for 72 hours. UW-Marshfield: Same protocol as moderate cases. Cottonwood Dairy: We use red leg bands to visually keep track of treated cows. All treatment history is entered into the DairyComp 305 computer program. Mil-View Jerseys: We use red tape on the legs to identify treated cows. We record treatments on a daily calendar, and all treatment records are logged into a notebook. RKB Dairy: We use red duct tape on both back legs. The cows are put in the special needs pen and milked last, which is written down in the parlor. The cow identification (ID), treatment date, what it is being treated for, and drugs administered are written in a notebook that is kept in the barn. The day they tested negative is also recorded. The information is recorded on the cow’s card in a card file that contains herd health information. The milking unit is not used on other cows. Rock Solid Dairy: Treated cows have red leg bands. A list of treated cows is written on a dry-erase board, and the cows are kept in a separate pen. We use the PCDART computer program to keep track of treated cows. Milk culture results are kept in a farm binder and in the PCDART program. United Dreams Dairy: Cows are identified with red duct tape on both rear legs. They are listed on a dry-erase board in the parlor while they are being treated and remain listed on the board until the antibiotic clears the animal’s system and the milk can be sold. Treatments are recorded in a daily treatment notepad, which stays on file for five years. Treatments are also recorded in DairyComp 305. UW-Marshfield: Red bands are placed on both rear legs of treated cows. Treated cow IDs are entered in the milking parlor computer system (Alpro) as “do not milk.” The treated cow ID is written on the parlor dry-erase board. Cow ID, date, treatment, severity, and milk withhold is entered in the written treatment log and in Dairy Comp305.